Mr. Stetten, Director of the New York Office of the Friedrich Ebert Foundation, welcomed speakers and participants. Quoting former British Prime Minister Margaret Thatcher, "I want my money back!" Stetten drew attention to the unwillingness of many UN member states to take action to avoid a serious financial crisis at the UN. Stetten said there were two main reasons for organizing the meeting. On the one hand, the UN faces a six-month spending cap that seriously complicates the day-to-day work of the organization. On the other hand, UN member states have recently agreed to add many new tasks for the UN, without significantly increasing the budget. Katarina Wahlberg, Policy Coordinator at Global Policy Forum (GPF), pointed out that UN Finance has been largely excluded from the UN reform debate. Illustrating her remarks with several graphs and tables, Ms Wahlberg pointed out that only 40 member states– representing less than a quarter of the total regular budget – paid their full dues on time in 2006. The US, the largest debtor, owes more than US$1 billion to the UN Regular, Peacekeeping and International Tribunals budgets. The debt of all member states to these UN budgets totaled US$3.3 billion at December 31, 2005. The UN faces additional financial difficulties, because of the six-month spending cap the General Assembly approved in December 2005 on the 2006-2007 budget. The US, Japan and EU backed the US$950 million spending cap to push for controversial management reforms by the summer of 2006. Wahlberg put UN budgets into perspective with other national and international expenditures. She noted that the UN Regular Budget is smaller than the budget of Tokyo's fire department and it is less than the cost of a B2 bomber. Concluding her remarks, Wahlberg referred to a recent opinion poll revealing large support for the UN among citizens around the world. She called on governments to match that support by paying their full dues on time. UN finance expert, Klaus Hüfner of the United Nations Association (UNA)-Germany said that late payments to the regular budget pose a major problem to the UN. He pointed out the irony that the US - the country with the largest debt to the UN - succeeded in negotiating the 2005 spending cap on the UN Regular Budget. Mr. Hüfner emphasized that "a dollar is not a dollar," and that different forms of loans or grants can have very different implications for the recipient countries. Furthermore, inflation rates must be taken into account when looking at UN finance from a historical perspective. Referring to a graph he circulated, Hüfner pointed out that the UN's expenditures have stagnated since the early 1980s, when analyzed in real instead of nominal terms. Furthermore, UN Funds and Programs mostly depend on member states' voluntary contributions, but increasingly, cost-sharing arrangements with recipient or third party countries fund these organs' activities. Hüfner suggested that countries repay the assistance they have received from UN organs, once they reach a certain level of prosperity. Mark Gilpin, Secretary of the Committee on Contributions, focused his presentation on assessed contributions to the UN. The UN scale of assessments, which is reviewed every three years by the General Assembly is based broadly on Member States' "capacity to pay." Assessments for the Regular Budget of the United Nations and the Capital Master Plan are based directly on the scale. Rates of assessment for peacekeeping operations are based on the scale and a system of adjustments under which low income countries pay at a lower rate than for the Regular Budget and the five permanent members of the Security Council pay at a higher rate. Assessments for the International Tribunals are based half on the scale and half on peacekeeping assessment rates. In 2000, Member States agreed on a number of significant changes, including lowering the ceiling – the maximum rate paid by any Member State to the Regular budget – from 25% to 22%. Under the triennial cycle for the scale, the Fifth Committee of the General Assembly is discussing instructions to the Committee on Contributions, an expert body elected by the Assembly, which will meet in June 2006 to consider the next scale of assessments from a technical point of view. The starting point for the scale has been relative shares of gross national income (GNI), with adjustments for external debt and low per capita income and minimum and maximum limits (currently a floor of 0.001% and a ceiling of 22%) and a maximum rate for the least developed countries (currently an LDC ceiling of 0.01%) In the current scale, the largest adjustments had been the ceiling and the low per capita income adjustment, with the others being significantly smaller. The technical recommendations of the Committee on Contributions, including on issues related to data and exchange rates, will assist the General Assembly once it begins discussions on the assessments scale in the autumn. Gilpin noted that currently a wide variety of approaches to change the scale of assessment are on the table for the Committee's discussion. Deborah Derrick, Executive Director of the Better World Campaign, talked about perspectives of the US Congress and the White House on funding the UN. The House of Representatives has passed a bill calling for dramatic cuts in US assessments if the UN does not meet certain reform criteria, but she stressed that the Senate had not yet approved the bill. Unless there is a dramatic breach in the US-UN relationship – for example over the Human Rights Council, the scale of assessments, or management reform – Ms. Derrick argued that the bill will not become US law. Derrick explained how the US administration has increasingly turned to the UN in the wake of US trouble in Iraq and other foreign policy stressors. In Congress, for example, Secretary of Defense Donald Rumsfeld recently gave a ringing endorsement of UN peacekeeping operations. In fact, Derrick argued, the US has a real interest in the UN and the administration is seeking sufficient movement on UN reform to convince Congressional hardliners to fund the institution. 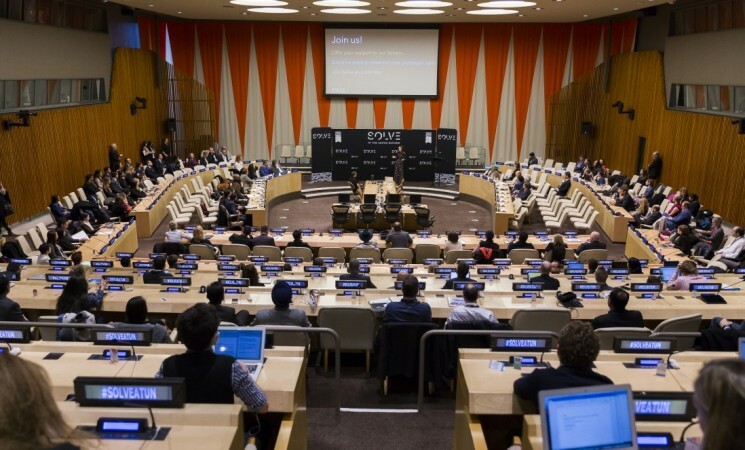 Jaideep Mazumdar, Counsellor at the Mission of India, said that in his three years as India 's representative to the Fifth Committee, this was the first time he had had the opportunity to discuss UN Finance from a broader perspective. He added that, although delegations make statements on UN finance issues within the Fifth Committee, they rarely discuss these issues in-depth. Referring to the 2005 Millennium Summit Outcome document, Mr. Mazumdar said that it was very difficult to come to an agreement on the paragraph on UN finance. Mazumdar claimed that the spending cap works against the belief that the UN serves the interests of all member states. As in national democratic systems, it should not matter which member state pays how much. Mr. Mazumdar also pointed out that it does not make sense to put a spending cap on the UN in the midst of a major reform process. The reform itself costs a lot of money. Mazumdar emphasized the importance and legitimacy of the UN, asking what other entity can carry out 19 peacekeeping missions for $5 billion. Staying optimistic, he mentioned that the financial problems exist at a micro-level -- how each of the 19 Peacekeeping missions is financed. The Secretary General's recent report on management reform ("Investing in the United Nations") proposes to consolidate all the peacekeeping funds. This would prevent politicization of peacekeeping activities and funding, and enable peacekeeping to work more efficiently. Mazumdar further commended the Secretary General's proposal to charge interest on late payments. Curiously enough, however, the Secretary General did not list this proposal as one of the items that the General Assembly should address in its upcoming meetings. In conclusion, Mazumdar made clear that he does not expect large changes in the assessments scale since most countries are quite happy with their current payment level. Inge Kaul, Director of the Office of Development Studies at the United Nations Development Programme (UNDP), said it would be interesting to see how many UN activities benefit from private financing and how much private financing for development is leveraged by UN publicly-supported funds. Ms. Kaul expressed doubt that more money is needed for the UN, stressing that the organization should focus on reform and potential cost savings. Perhaps, she suggested, there are good reasons behind member states unwillingness to pay their dues. Since the UN passes many new resolutions without securing funding for them, Kaul urged the UN to analyze the costs and benefits of the planed activities at an early stage. Mohammad Tal, First Secretary and Jordan's representative to the Fifth Committee, stated that no member state "from either camp" would dispute the need for UN reform. Nevertheless, UN reform is a continuous process and applying any artificial timeframes is counterproductive to say the least. He added that member states should take a step back and ask what kind of reform they want to see; genuine reform that better enables the organization to carry out its mandates effectively and efficiently or simply a written proclamation that the organization has been reformed. Further, Mr. Tal stressed that inconsistencies plague the current discussions on UN reform. Some member states repeatedly request to grant the Secretary General flexibility to "utilize the organization's resources more efficiently." Yet those same member states went as far as depriving the SG of his most basic of rights which is to spend the resources approved in the biennial budget 2006-2007. On the issue of future financing of the UN, Tal stated that the concept of "value for money" does not apply easily to an intergovernmental organization. While supporting the highest levels of accountability and efficiency in utilizing the organization's resources, Tal insisted that cost benefit analysis cannot be blindly applied. He concluded that the UN needs a predictable level of resources to carry out its substantive activities. William Pace, Executive Director of the World Federalist Movement (WFM), drew attention to the small per capita contributions of member states to the UN. The largest per capita contributors pay around $20, which is still very low compared to US federal or state per capita expenditures. He said that alternative and innovative funding would make the UN more independent. On the topic of NGO involvement, Mr. Pace argued that it was unfortunate that only a few NGOs take on the important issue of UN finance. Harris Gleckman, former head of UNCTAD's New York office talked about the gap between people's expectations about what the UN should accomplish and the funds allocated for the organization's activities. When UN agencies experience funding shortfalls and cannot do their work properly, many people claim that the UN has "failed." But, asked Gleckman, can we really expect organizations to deliver without sufficient funding? He further argued that it is necessary to have a new methodology that can estimate properly the cost to implement programs mandated by governments and the minimum effective type of infrastructure needed to deliver these intergovernmentally authorized programs. Wasim Mir, Counsellor and representative to the Fifth Committee of the UK Mission noted that while it was beyond question that the UN had a unique role and value in international affairs it was legitimate to question whether it was as effective as it could be. He emphasized that member states had a responsibility to their citizens and Parliaments to ensure that UN budgets were used as effectively as possible. He noted that the Secretary General's report on rules and regulations offered a unique opportunity to enhance the way the UN is run. The reforms put forward by the Secretary General were what any CEO required to run an organization effectively. 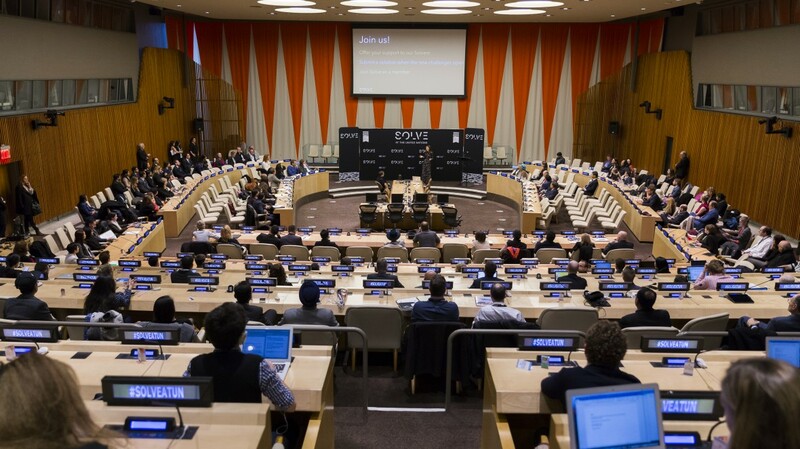 Michael Renner, Senior Researcher at Worldwatch Institute, said that increasing the number of private partnerships at the UN increases the need for greater accountability and transparency. He also pointed out that within the discussion on UN Finance it is important to clearly distinguish between different UN tasks and mandates. In the realm of the UN's peacekeeping efforts, this is a particularly sensitive question. Private partnerships in this context could even mean a greater involvement of private military companies, which Renner characterized as an undesirable outcome. James Paul, Executive Director of Global Policy Forum (GPF), demonstrated with a table how the introduction of a 10% cap on member state assessments to the Regular Budget could limit the UN's political dependence on its largest contributors. Based on a proposal by the former Swedish Prime Minister Olof Palme, Mr. Paul showed how the missing funds, resulting from decreasing assessments of the US and Japan , could be counter-balanced by assessment increases among other rich member countries. In comparison to other national spending priorities, these increases would be very small. Nevertheless, as in 1985, the US would probably once again oppose the idea of substantially reducing its assessments, fearing to loose its leverage over the UN and other member states. And the states facing increases would balk, in spite of the low sums involved. Klaus Hüfnerwelcomed the increasing number of member states paying their dues fully and on time. He called on the UN and member states to facilitate clearer statistics on UN finance, for example on how much private money flows throughout the UN system. Mr. Hüfner further urged states to invest more in the UN. It is a political decision to do so and it would enable the international community to decide its own future. He also questioned whether "result-based budgeting" can improve the work of the UN if the results are interpreted in isolation from the efforts undertaken by its Member States. Amad Kamal, Former Ambassador of Pakistan and Senior Fellow at UNITAR, stated that UN Reform would really depend on reform and change in US positions, without which many of the ideas being discussed would not reach fruition. All the calls for a more democratic organization forget that the UN was established by a small number of victors of World War II. Some have even argued that the General Assembly only exists to allow member states to "let off steam", while substantive decisions are really taken in the Security Council, where the Permanent Five have veto powers. With the Bretton Woods Institutions handling the hard economic issues, the UN is thus constrained to deal mainly with peace and security and humanitarian issues. Mr. Kamal also indicated that Japan's recent inability to secure a permanent seat in the Security Council, despite its very significant contribution to the budget of the UN, would probably lead it insist on a new formula for financial contributions by the Permanent Five, or to try to move political power and decision making outside of the UN altogether. Mr. Williams, UN correspondent of The Nation,made it clear that the problem with UN Finance is not about the money, but about politics. He expressed doubt that member states urging UN reform necessarily seek a more efficient UN or that they want it to have resources to implement all adopted resolutions. Referring to previous speakers' comments about democracy in the UN, Williams quoted former British Prime Minister Winston Churchill, "Democracy is the worst form of government except all those other forms that have been tried." This is true of the UN. The biggest obstacle to strengthening UN finance and strengthening the UN in general is the US Congress. Mr. Williams argued that the only way to change Congress's position would be to persuade the US public first. Williams also suggested that Europe could take a leading role and pay for more of the UN's activities to avoid a financial crisis. At the very least, he said, the Europeans can pay their full dues on time or even in advance.